Montpelier was the lifelong home of James Madison, Father of the Constitution, fourth President of the United States, and primary architect of the Bill of Rights. The exquisite 2,600-acre property sits in the rolling hills of the Virginia Piedmont just a two-hour drive from Washington D.C. and offers over six miles of walking trails and an unspoiled view of the Blue Ridge Mountains. At Montpelier, James Madison shaped the ideas that would become the U.S. Constitution. 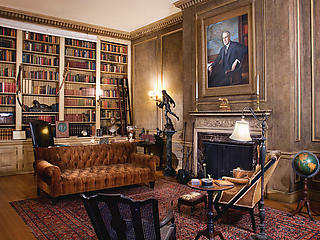 For six months, Madison sat in his upstairs library where he meticulously studied past forms of governments and organized his thoughts into what he believed were the ideal principles for a representative democracy. Madison’s ideas would become the “Virginia Plan,” and later the framework for the Constitution. Montpelier’s museum experience focuses equally on James and Dolley Madison’s political and cultural impact during the Early Republic and on interpreting the lives of the enslaved community and their descendants’ struggle for freedom and equal rights. 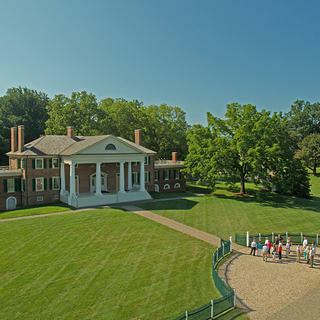 In addition to the two existing structures that date to James Madison’s lifetime–the mansion and a neoclassical temple–Montpelier also interprets a historic freedman’s cabin and a Jim Crow-era train depot and maintains more than 100 historic structures, many of which date to the period when it was principal residence of William S. duPont and his family, whose heirs transferred the estate to the National Trust in 1983. 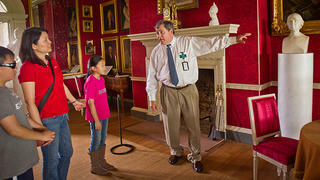 National Trust members receive 50% off general admission. 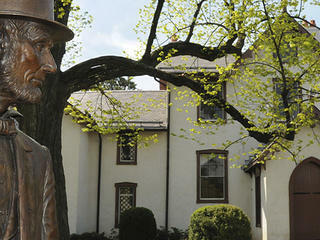 James Madison’s Montpelier is also home to one of the nation’s largest archaeology research projects for the study of slavery and to the Robert H. Smith Center for the Constitution, a nexus for constitutional education and dialogue that offers year-round online and residential programs. Montpelier is owned by the National Trust For Historic Preservation and operated and administered by The Montpelier Foundation. 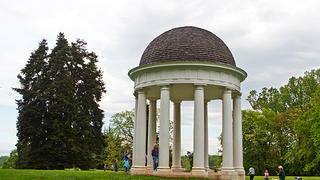 Montpelier is also a member of the National Trust's Distinctive Destinations program. Montpelier is where James Madison shaped the ideas that would become the U.S. Constitution. 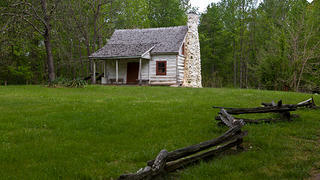 The Gilmore Cabin stands as the first preserved and interpreted freedman's home in the United States. The Temple at Montpelier is a fitting symbol for Madison, encompassing his intelligence and love of the classics, his appreciation of natural beauty, and his understanding of the useful and practical ways of men. 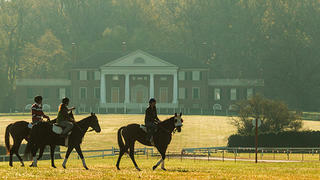 Marion duPont Scott started The Montpelier Hunt Races in 1934 on the front lawn of James Madison’s home. Today it remains one of Montpelier's most popular public events. 50% discount on general admission for NTHP members. Does not apply to events and cannot be combined with other offers.